All steel organizing accessories are extra sturdy and useful. 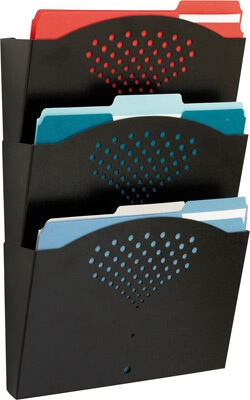 Steel wall pockets hold letter size charts and files--perfect for any office. Wall mounting hardware included.